The Devon Birdwatching and Preservation Society, or Devon Birds as it is more usually known, was founded in 1928. 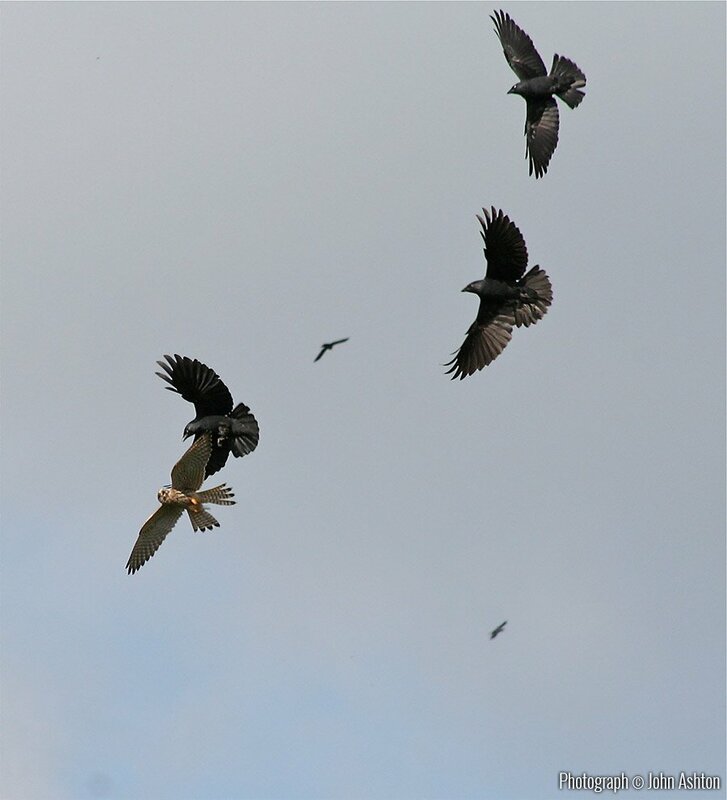 Its principal aims are to study and to conserve wild birds in Devon, and the society has its own website (http://www.devonbirds.org) which will give much more information including sightings, records and recording, events, and membership. 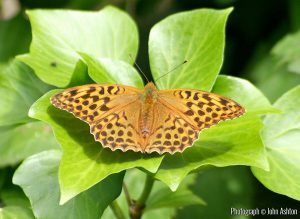 There is a page on its website for recent sightings and many of the postings include beautiful photographs. Popular local birding sites are at Thurlestone, Soar, Slapton and of course South Efford Marsh. 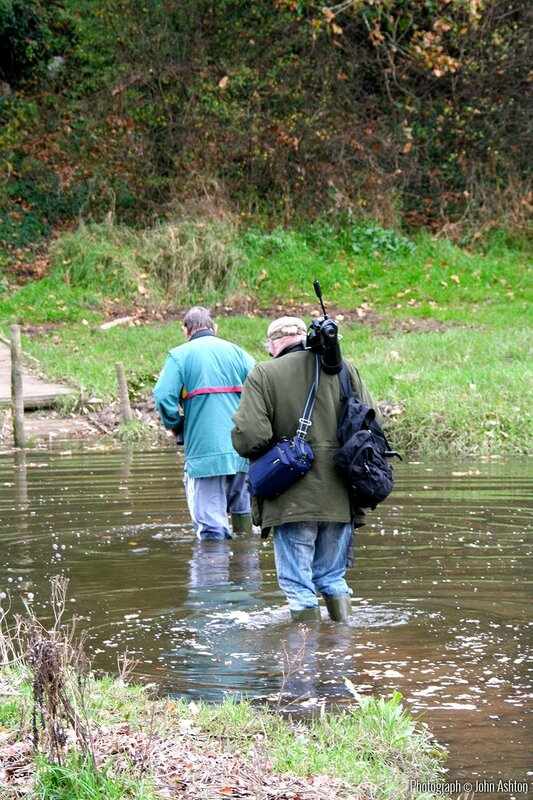 Our two resident birders are Rod Bone and Eric Wotton. Born and brought up in the village Rod has been interested in bird watching and wildlife ever since the age of 7 or 8 when he was inspired by a local ornithologist H G Hurrell, who used to show slides at Christmas to the Sunday School and kept otters, seals and pine martens at his home. For most of his life Rod has been observing the bird life in the area, and keeping his own records of numbers and first sightings in the parish; his reports have been published in the mAGpie since it started. He has also been carrying out a breeding bird census for the parish for the RSPB since 1966. His observations and recordings take him to all parts of the parish; for example he annually visits and counts the rook’s nests in all the rookeries, counts migrating birds such as swallows, starlings, and Canada Geese, and knows where all the usual and unusual nesting birds are to be found. Over the years he has witnessed and recorded a decline in all our birds, not just here in the parish, but in general. 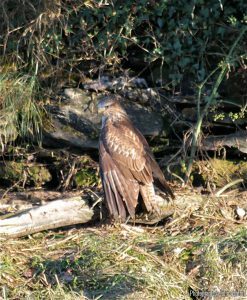 However early arrivals or unusual sightings are still seen every year, and Rod feels that bird life and numbers in this parish are very typical for this area. 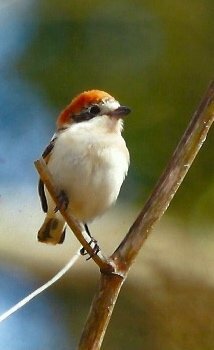 Eric is a lifelong and knowledgeable birder who moved to the village several years ago, and he has been contributing his sightings to the records for the parish. He uses his years of experience to identify rare or unusual visitors, and has a particular interest in migration of birds; special weather conditions, and factors affecting their food supplies and breeding seasons. He visits South Efford Marsh almost daily, and is pleased to see that the development of the new wildlife reserve there appears to be attracting a wider diversity of species particularly waders and wildfowl, and in greater numbers; he has hopes that it will in time develop into an important reserve for migrating birds. 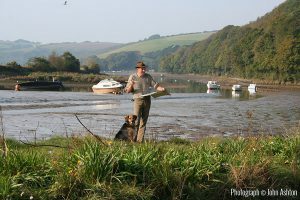 John Ashton is one of our resident artists, living here in the village and using the estuary and local countryside for much of his work. 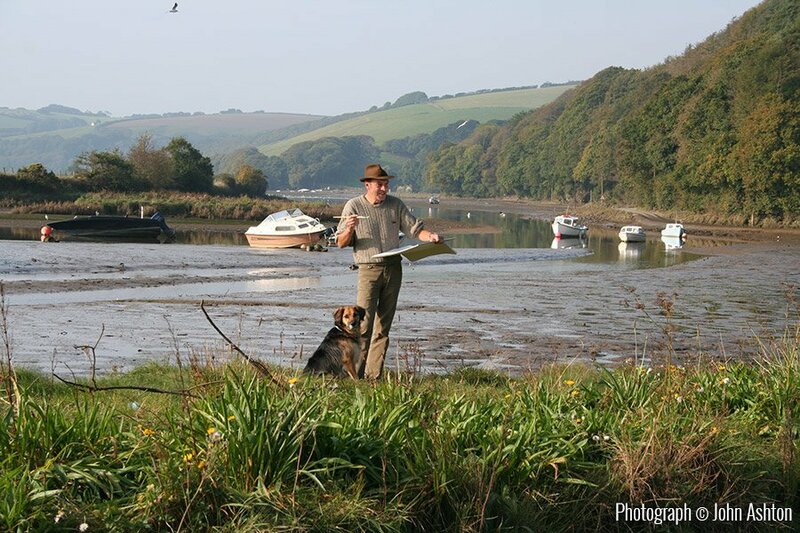 His observation of birds in their natural environment contributes to his paintings with their minute attention to detail, and he has been nominated for the short list for the prestigious David Shepherd Foundation Wildlife Artist of the Year Award in 2010, 2011, 2012 and 2013. 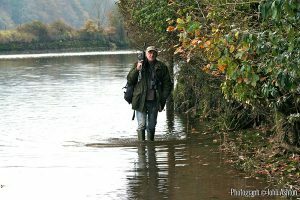 He has an extensive knowledge of much of our local wildlife, and has observed, photographed or painted many rare visitors to this area including osprey, glossy ibis, silver wash fritillary butterflies, crimson underwing moth, and blue underwing moth, also known as the clifden nonpareil, an extremely rare migrant. He writes a regular column “Bird Watching in the South Hams” for The Post. 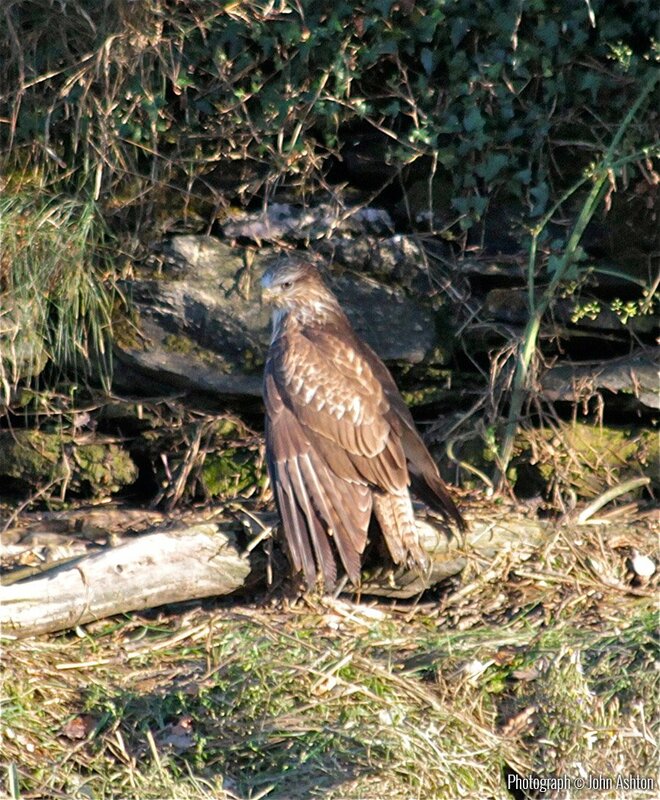 It seems that the wildlife in our parish is very typical for our area in the South Hams. We have otters living in parts of the river valley, and there is evidence that deer are living quietly in the wooded areas; roe deer are occasionally seen and their hoof tracks can sometimes be found in the mud crossing the river, and there have been a few sightings of muntjac over the years. Dormice, once numerous but now an endangered species are still here in selected pockets of our woodland. They must have been much more common in this area as one of the old names for a footpath at Were Down was the “dormouse walk”. Bats are often living unnoticed in our roofs, and not just the commonly found pipistrelles – in 2012 a bat conservation organisation found five other varieties in one house and its barns in the valley by the river. According to national statistics glow worms are on the decline, but those of us away from street lighting can often see them here on summer nights. 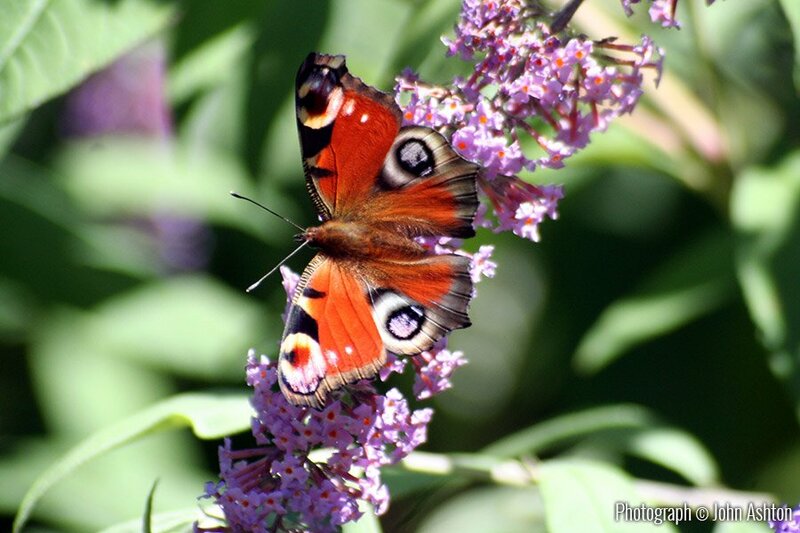 Butterflies and moths have had a boost with the fine weather during 2013, and numbers of all our old favourites including tortoishells, red admirals, and peacocks have been much higher this year. Eric has seen quite a few painted ladies and clouded yellows this year, and a breeding colony of marbled white butterflies in the gorse by the river. Dragonfly and damsel flies are no longer seen in such numbers as their habitats are so reduced, and the only ones we have here tend to be the common varieties, often attracted by garden ponds. We can only show a small selection of photographs illustrating what we have here in the parish. For more photos go to our Gallery pages – everything shown on our wildlife, butterfly and flowers pages was taken locally. If you have any photos or wildlife info which might be of interest to go on these pages, please contact us, and we would be pleased to include it. 5 pairs bred this year, and 8 cygnets hatched. On 7th November, 2 cygnets were still alive.